Your server's hard drive crashed. Your site is hacked and the hacker deleted all your files. and your ISP building is gone down and everything is lost. your hard work might be lost forever. That is why it is of the utmost importance that you keep regular backups of your data. Now there are many questions? How frequently backup should be taken? Where this backup should be preserved? What type of backup should be taken? Who should take these backup? just do it and see if your website is up and running. But if you are in the habit of making frequent modifications on your site, then it is necessary that you take regular backup. Websites like amazon.com have very tight backup schedules and very expensive backup infrastructure. not affordable to lose even a single day’s data, then I would recommend to schedule daily backup and similarly, you can decide if weekly or monthly backup are OK for you or not. Where the Backup Should be Preserved? Most of the times, backups are taken from one machine and saved on another machine or media. If possible, you should arrange a different backup server where you can FTP your complete data to be backup up. If this is not too much then you can keep it in data CD or DVD etc. If possible, keep multiple copies of backup but with a managed way to avoid any confusion. who provide you different backup servers with a very nominal cost and it is recommended that you spend that amount on backup services. There are two types of backup − incremental and full. It depends on what type of backup tools you are using. There are many backup tools − for example, Oracle provides its own utilities to take different types of backup. Incremental Backup − The backup’s controller compares the existing backup with the data that you wish to backup. if you have added or edited any file, these files will be updated in the backup, thus the name incremental. Full Backup − Here all files are written to the backup, even if they already exist in the most current backup. The simplest case is that you can login to your web server on a monthly or weekly basis and copy all the website related files on different computer or media. It works only in case you have limited amount of data on your site. an everyday and weekly basis. In such cases, you may need to have automated scripts to take backup and keep them at another machine or media. a designated backup server or media like tap drive. It is up to you to decide how you want to take your backup. 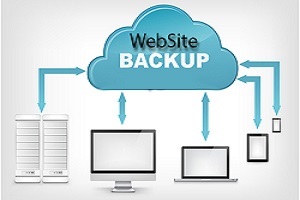 If you are a website owner, then you must take regular backup without failure. Else, it might lead to serious consequences.